Lure review time. TheRapala X-rap in the rainbow trout pattern has caught more fish for me than anyother lure I have ever used. Designedfor bass fishing this lure will catch any predatory fish that eats otherfish. The action and suspending capabilitiesof this lure is unmatched by any other lure I have used. You lure designers want to send me a lure totest out to see if I have similar results my contact info is at the bottom ofthis blog. I mainly use this lure for trout not bass, and have taggedmultiple fish over 20 inches using the x-rap in rivers around the state. 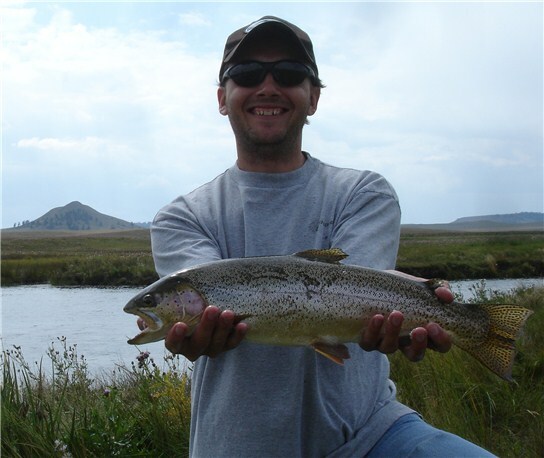 Rainbows and brown trout both feel the x-rapis invading its territory and are quickly to dispatch it. Strikes are violent and fast, which is theway I like it. Fish the same size as thelure will strike at it or chase it, these things just plain catch fish. Anew lure out on the market that I have had the opportunity to test out a feware the Dynamic Lures HD Trout. Let the know I sent you, they will treat you right. 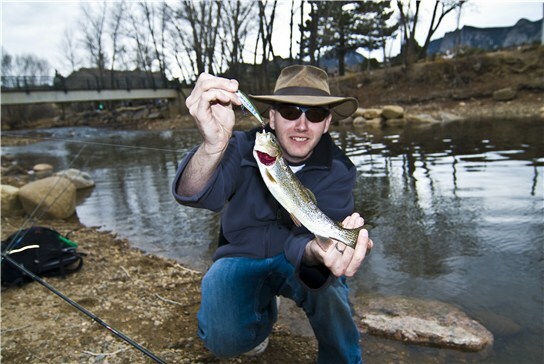 These lures are taking Colorado by storm fromthe forums I run and making a splash across the US as well. These will be ones to keep your eyes on,cheaper then x-raps and producing just as well. I cannot wait tell the spring so I can give these guys a bettertest.